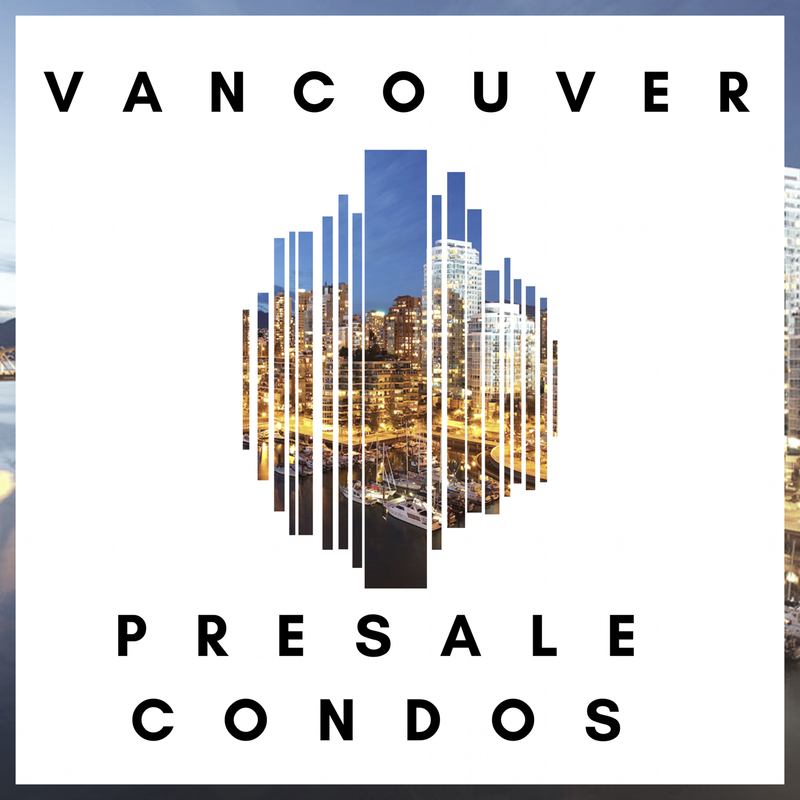 Are you frustrated with the lack of information, misleading information, or straight up incorrect information that permeates the Vancouver presale condo market? We cut through the confusion, bringing you conversations with developers about their most exciting up and coming projects in the Lower Mainland. The first episode in our new series focusing on presale condos in the Greater Vancouver area! Tell us about your project, The Georgia. The Georgia Condominiums project consists of 194 homes over two phases. The project is currently in the registration phase. All advertising is via social media and online, there is nothing on MLS or in print. Well over 20 people are registering for the site each day. 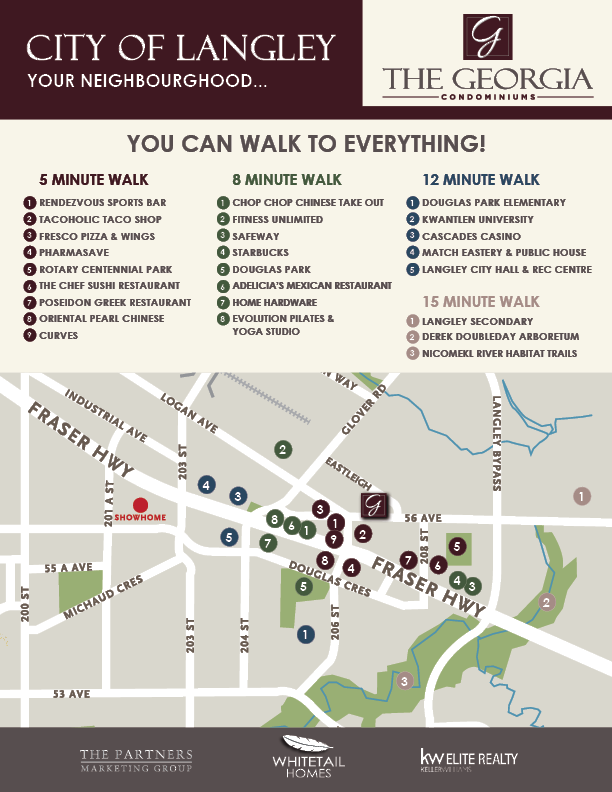 Why are you excited about the location of The Georgia in downtown Langley? It will be an incredible addition to downtown Langley—perks include being walking distance to the mom-and-pop shops in the historic Fraser highway area and to evening entertainment, and light rail transit is coming. It’s an up-and-coming area, and Trevor chose to personally invest there. When is the completion date for The Georgia? Sales begin end of March; expected completion is early 2020. Can you tell us more about Whitetail Homes and its history? One of the Principals, Luc Gosselin, is also the CEO of CWL Contracting and has done hundreds of homes and dozens of projects, all over the Lower Mainland. This is their third project in the City of Langley and they have a great reputation. 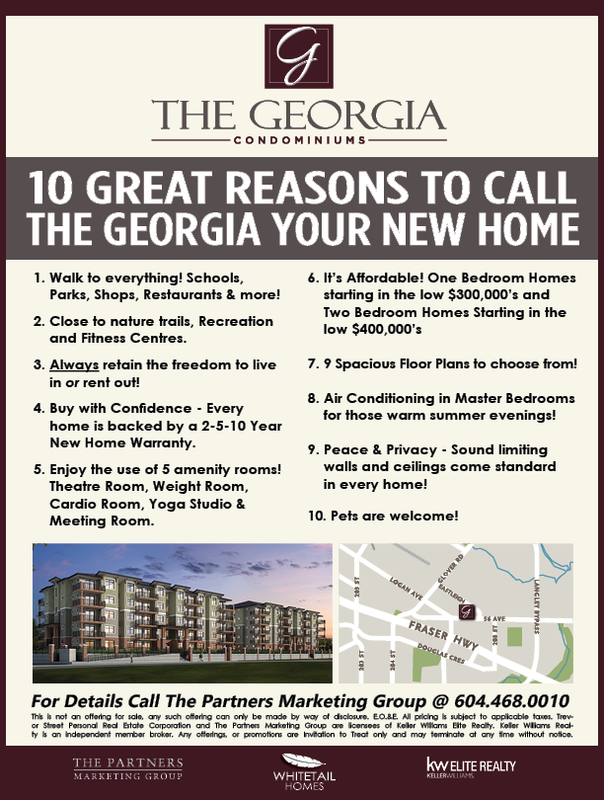 Are the homes at The Georgia primarily for investors or end-users? Investors can get high rents, like everywhere else in the Lower Mainland. The Georgia will be cash-flow positive. Trevor has seen rents for smaller homes at $2.50-$3.00 per square foot, and even higher if furnished. If someone out there is on the fence, why should they buy at The Georgia? You can let go of the fear of whether a place will suit your needs a couple years down the road. This is not meant to be a forever home, but a safe investment from a quality builder. You can always rent the suite out if you move on; that right will always be there because you get grandfathered in, even if the strata bylaws change in future. When rapid transit comes, they’ve typically seen prices rise, so it’s smart to get in now.